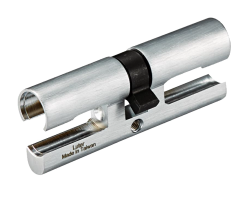 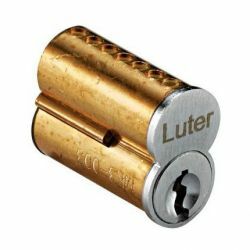 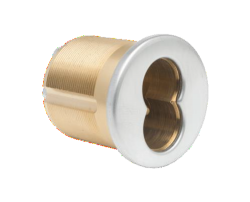 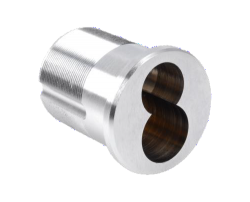 "Luter has Small and Large Format Interchangeable Core (SFIC& LFIC) locks"
A special control key unlocks and allows removal from the front of the lock of the core. 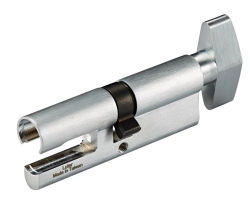 New cores can be swapped in and out in a few seconds are required, not to use for tools on special locksmith skills. 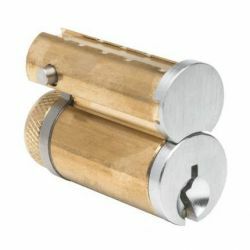 The control key (cut out the same blank and otherwise indistinguishable from a regular key) turns to degrees clockwise to disengage a retaining tab that locks the core in the housing. 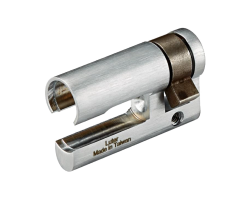 Luter's SFIC housing are also manufactured for rim cylinders, key-in knob locks, padlocks, cabinet locks electrical switches, etc.